Not to be outdone by the new-for-2019 Ford Edge ST, Chevrolet is reportedly planning to unveil its own performance SUV at the New York Auto Show in two weeks. According to several sources, the bowtie brand’s equally new Blazer midsize crossover will add an SS model featuring the same turbocharged 3.0-litre V6 found in the Cadillac CT6 sedan, which is rated at 404 horsepower and 400 pound-feet of torque, along with a 10-speed automatic transmission and all-wheel drive. That would result in 0-100 km/h acceleration in about 5.5 seconds. Some may have wished for the Camaro’s 455-horsepower 6.2-litre V8, but that engine is designed to work in RWD platforms and the Blazer is built for FWD and AWD applications. Still, the aforementioned numbers are good enough to easily trump the Edge ST’s 335 hp and 380 lb.-ft.
On the other hand, the Jeep Grand Cherokee has two versions with more power including the 475-horsepower SRT and the outrageous 707-horsepower Trackhawk. The pictures you see here don’t show the actual Chevrolet Blazer SS, since the company hasn’t revealed anything yet. They’re merely renderings posted by the ChevyBlazer.org website. Logically, the vehicle will get a sporty aero kit, larger wheels (21 inches), a lowered suspension for better handling and upgraded brakes to counter the extra acceleration. Look for other performance add-ons and distinctive black design elements, too. This is some exciting news for Chevrolet enthusiasts as the highly anticipated mid-engine Corvette continues to keep us waiting. 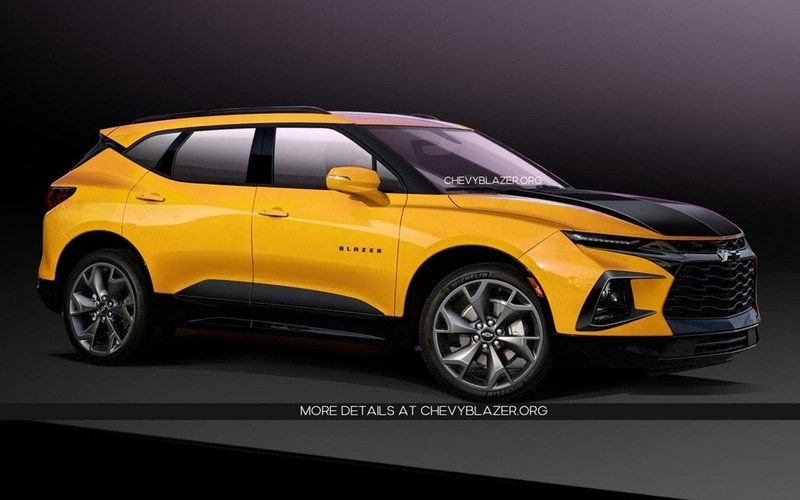 We should find out everything there is to know about the Chevrolet Blazer SS when the New York Auto Show kicks off on April 17. Right now, Blazer customers have two engine choices: a 2.5-litre four-cylinder producing 193 horsepower and a 3.6-litre V6 generating 305 horsepower.